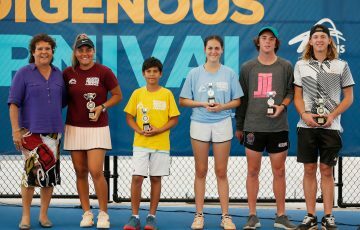 Tennis Australia has partnered with the Baldau Yiooghen Youth Leadership Academy to help encourage the next generation of young Aboriginal and Torres Strait Islanders to reach their educational, employment, and leadership goals. 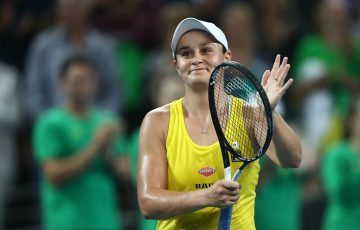 Tennis Australia has announced a collaboration with the Baldau Yiooghen Youth Leadership Academy which encourages the next generation of young Aboriginal and Torres Strait Islanders to dream big. An initiative brought together by The Long Walk and Anglicare Victoria, the Baldau Yiooghen Youth Leadership Academy brings together young people from organisations including Goolum Goolum Aboriginal Co-operative, Bendigo and District Aboriginal Co-operative and connects with community Elders to provide industry and cultural experiences through partner organisations including Tennis Australia, Opera Australia, Australian National Academy of Music, Melbourne Victory FC, Racing Victoria and Federation University. 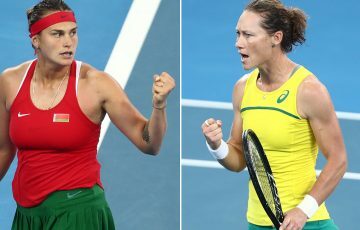 Baldau Yiooghen means “big dreams” in Wurundjeri language and the aim of the academy is to connect with these organisations and communities to help support young Aboriginal and Torres Strait Islander people as they strive towards their educational, employment and leadership potentials. 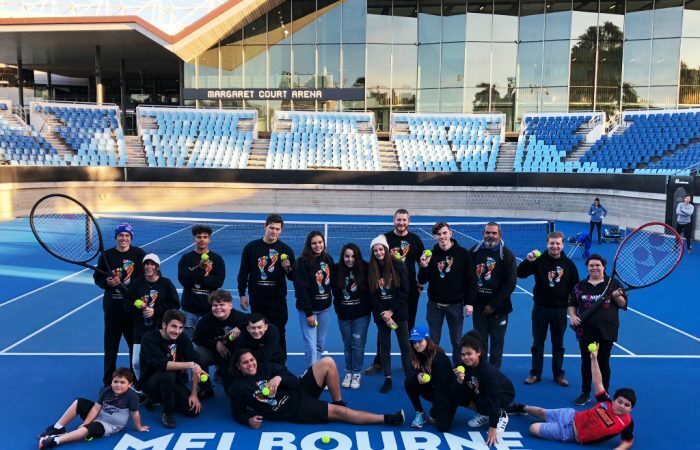 On Friday 1 June, the Academy visited Tennis Australia’s ‘Tennis HQ‘ for a tour of the facility, a talk with Human Resources about future job opportunities and for an exclusive behind-the-scenes insight into the Australian Open. 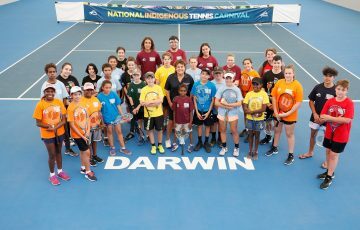 Members of the academy then participated in a special tennis clinic conducted by Aboriginal tennis legend Ian Goolagong who has been travelling with the group throughout the experience. 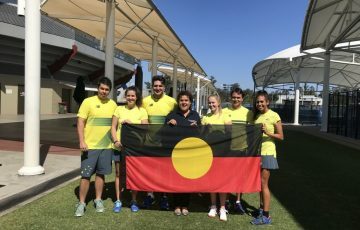 “Baldau Yiooghen is all about promoting opportunities for young Aboriginal and Torres Strait Islander people so they will achieve their full potential. 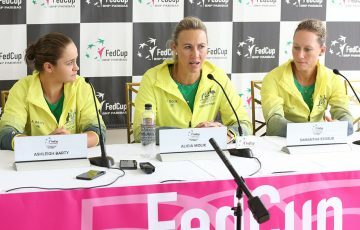 The organisations involved provide invaluable opportunities for all the young people who take part,” Law said. The Long Walk General Manager Leanne Brooke praised the Academy: “Baldau Yiooghen is a wonderful example of a range of organisations working collaboratively to develop future leaders and provide opportunities to Aboriginal & Torres Strait Islander young people.